Redmond, Wash., USA and Osaka, Japan - April 27, 2016 - On Wednesday, Microsoft Corp. and Funai Electric Co. Ltd. announced they are strengthening their successful partnership with the renewal of a patent cross-licensing agreement covering a range of consumer audio-video products. Funai Electric is a worldwide leading manufacturer under FUNAI and other multiple brands including Philips, Magnavox, DX Broadtec, Emerson, Sanyo and Kodak. This patent agreement is another example of the important role IP plays in ensuring a healthy and vibrant technology ecosystem. Since Microsoft launched its IP licensing program in December 2003, it has entered into more than 1,200 licensing agreements, increasing collaboration and innovation across a range of industries. LCD TVs are Funai Electric's the major product, accounting for more than 60% of net sales. On Wednesday, Microsoft Corp. and Funai Electric Co. Ltd. (“Funai Electric”) announced they are strengthening their successful partnership with the renewal of a patent cross-licensing agreement covering a range of consumer audio-video products. “Microsoft and Funai Electric will continue to benefit from each other’s innovations in building enhanced experiences for our customers,” said Nick Psyhogeos, president of Microsoft Technology Licensing. Funai Electric is a worldwide leading manufacturer under FUNAI and other multiple brands including Philips, Magnavox, DX Broadtec, Emerson, Sanyo and Kodak. This patent agreement is another example of the important role IP plays in ensuring a healthy and vibrant technology ecosystem. Since Microsoft launched its IP licensing program in December 2003, it has entered into more than 1,200 licensing agreements, increasing collaboration and innovation across a range of industries. About Funai Electric Co. Ltd.
Funai Electric, established in 1961 and headquartered in Osaka, Japan, is listed in the Tokyo Securities Exchange First Section (6839) as a leading manufacturer of LCD TVs, DVDs/Blu-rays and related peripherals, printers, and antennas, etc. under FUNAI and other multiple brands in the global consumer electronics market. 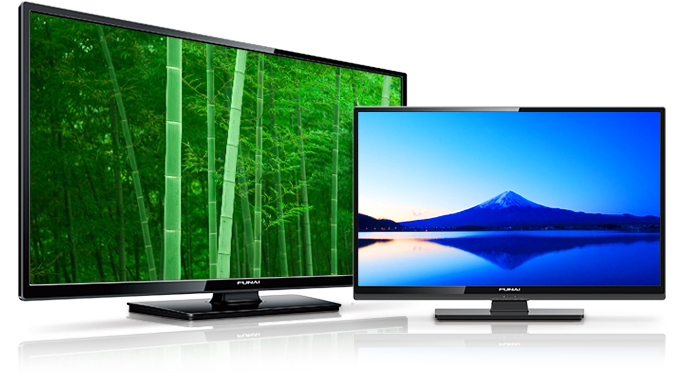 In DVD/BD-related products, Funai Electric develops its business across three brands in Japan and overseas, as well as supplying products under OEM agreements. Funai Electric is well-known as a major original equipment manufacturer (OEM) and supplier as well. FUNAI products are sold by its sales subsidiaries FUNAI CORPORATION and P&F USA for North America, P&F MEXICANA for Central/South America, and other Funai Sales and Marketing companies throughout Asia. For some 16 years, Funai Electric manufactured inkjet printer hardware equipment under consignment for Lexmark, the world’s leading specialized manufacturer of printers, collaborating with the company from the development stage. We are also an OEM supplier of laser beam printers, and 2013 marked the start of production of printers using a printer engine we had developed. Funai group sells products under multiple brands in addition to FUNAI. FUNAI products have a strong and solid reputation in global markets for their quality and reasonable prices. Subsidiary DX ANTENNA CO., LTD., handles receiver-related products under the DX ANTENNA brand. DX Antenna offers a wide-ranging lineup of products essential for digital broadcasting, such as antennas, boosters, demultiplexers and splitters, as well as a millimeter-wave transmission system using proprietary wireless technology and communications- and security-related equipment.